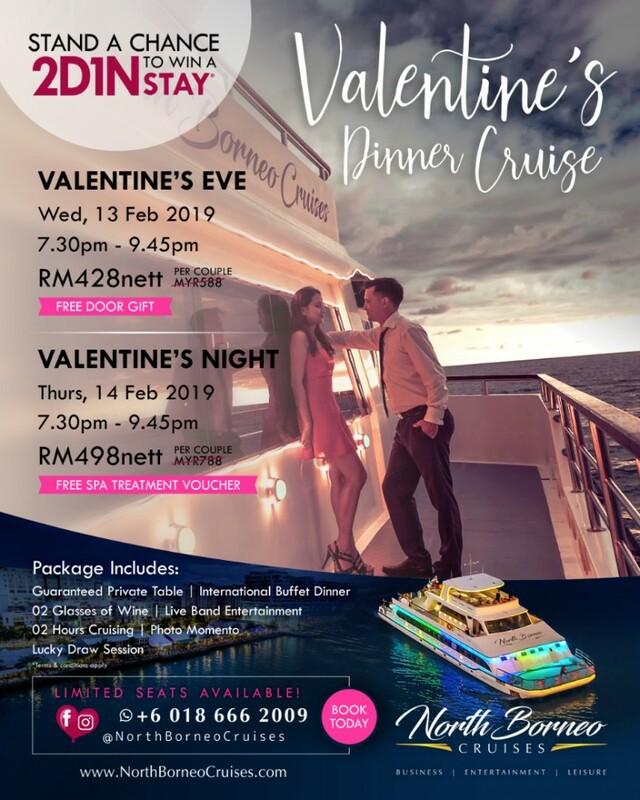 Spend Valentine's Day 2019 with your special someone on board North Borneo Cruises, the most romantic night dinner cruise in Kota Kinabalu. Book now for guaranteed private table on Valentine's Eve and Valentine's Night. BOOK NOW! Call/WhatsApp us at 📞 +6018-6662009 or email at 📩 info@NorthBorneoCruises.com! Check out our website www.NorthBorneoCruises.com or Facebook/Instagram @northborneocruises for regular updates!